PADI SEARCH AND RECOVERY DIVER Find treasure... or your friend's lost gear! From lost treasures like large underwater cameras to dropped necessities like your boats small anchor, there are tons of objects that needs to be searched for and recovered from underwater. Gain the knowledge and skills to find and safely recover lost items. 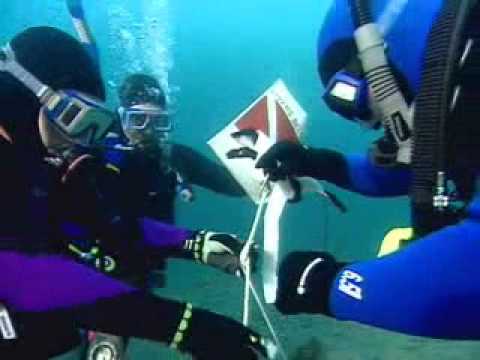 Once you know how to effeciently find and recover objects underwater you'll be the hero that saves your buddy's lost wallet at the lake or the savvy diver that recovers valuable lost items like small anchors or boat ladders. Because you often need to navigate to specific spots to find lost items, the Underwater Navigator course can help you perfect your navigation skills. For more information about this or other PADI courses have a chat with one of the SUGAR LAND DIVE CENTER team members.